Teachers, Local Authority Workers, Civil Servants, Community Organisations, Pensioners, Anti Cuts Alliances and members of the general public took to the streets of Aberdeen on Saturday 1st October 2011. With thanks to Brian Carroll. The march and rally was organised by the Educational Institute of Scotland (EIS – the largest teaching Union in Scotland) and was supported by all unions affiliated to the Aberdeen Trades Union Council. As well as EIS Members, the march consisted of members from unions such as Unite, Unison, PCS, CWU, FBU and others. 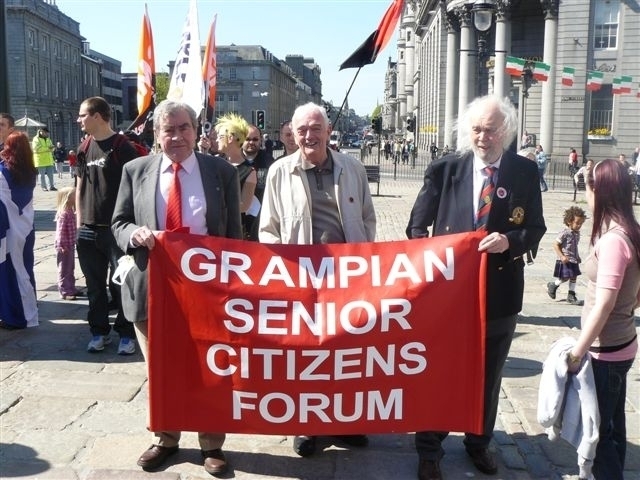 The march also had representatives from community organisations, pensioners and members of the public taking part. In total 2000 marched down Union Street, the main shopping street of Aberdeen which stretches for over a mile, and the pipe band leading the march gave it all they had, as did the anti-cuts organisation, Aberdeen Against Austerity, which sang some colourful songs about fighting the cuts, and placing the ConDem government on a bonfire ! Key note speaker was Susan Quinn, National Vice President of EIS. Along with other speakers, she denounced the actions of the ConDem government in respect of their approach to civil and public servants, services, cuts, pensions, pay, jobs and services. Support for action on 30 November 2011 was unanimous if the ConDem government does not enter into meaningful consultation and negotiation with all civil and public service unions. The march in Aberdeen was the biggest in the City since an anti-cuts march which took place four years ago. The march clearly showed that strong feelings against the cuts agenda. Opposition to the pubic sector cuts is growing, gaining momentum and getting the support of the general public as they realise that once their services are gone, they are gone forever. This march and rally coincided with and complemented the “People First” march and rally held in Glasgow on the same day, which was organised by the STUC and supported by all affiliated Unions and where 15,000 people marched. With thanks to Brian Carroll – PCS Union Branch Secretary of Scottish Courts Branch and ATUC Delegate for Scottish Courts Branch. Civil Servants, Local Authority Workers, Community Organisations, Teachers, Pensioners, Anti Cuts Alliances and the general public are taking to the streets of Aberdeen on Saturday 1st October 2011. 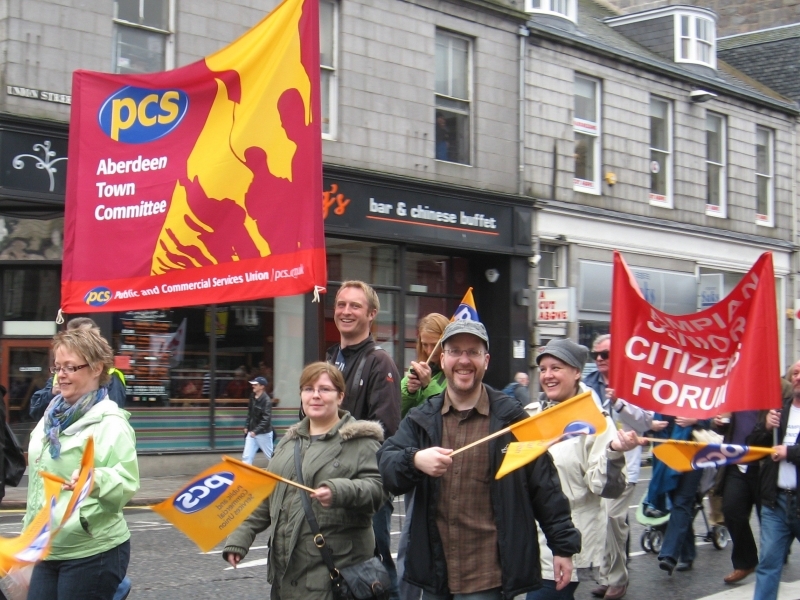 This march and rally has been organised by the Educational Institute of Scotland (EIS) and is being supported by all Unions affiliated to the Aberdeen Trades Union Council. As well as EIS Members, the march will consist of members from Unions such as Unite, Unison, PCS, CWU and others. The march will also have representatives from Community Organisations, Pensioners and members of the public taking part. 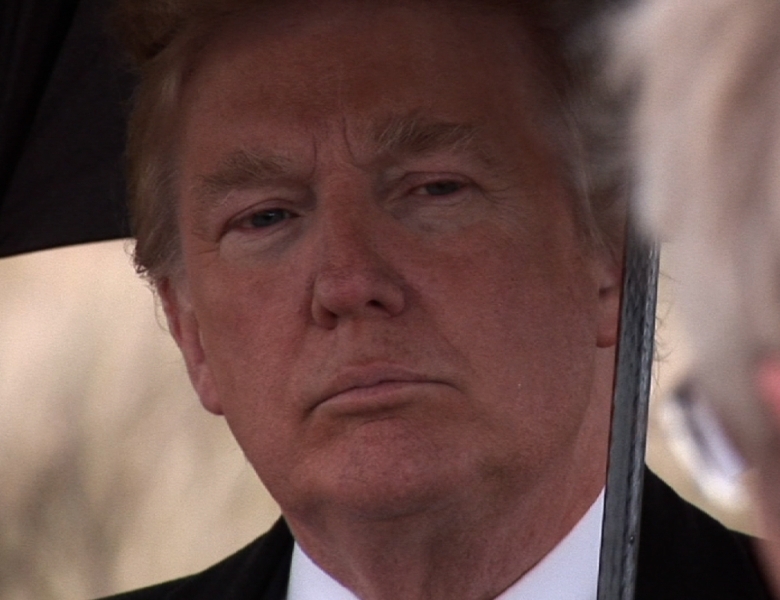 Marchers will assemble at Rubislaw Terrace (Opposite Harlaw Academy) at 10.30am, and will then march down Union Street at 11am to Aberdeen Arts Centre in King Street, where a rally will be held at 12noon. The keynote speaker is Susan Quinn, EIS National Vice President, with other speakers scheduled to attend as well. The rally will end some time between 12.45pm and 1pm. This march and rally is an Anti Cuts event, coinciding with and complementing the “People First” march and rally being held in Glasgow on the same day, which is organised by the STUC and supported by all affiliated Unions. get the banks working for the benefit of the country, to free up opportunities of investment. To get the banks to start paying back the bail-out money, and to use the £850 Billion of banking assets the UK taxpayer now owns for the benefit of the country as a whole. They say that “we are all in this together” but the bankers and owners of big business are still getting their multi-million pound salaries and bonuses and the majority of the cabinet are millionaires. The top 50 of the wealthiest people in the UK saw their personal worth increase by 20% in the last year whilst middle and low income earners saw their income fall by at least 10%. It will fall by at least that again in the next year, if the Cuts agenda continues. Not only that, jobs and services being lost now, will be lost forever.